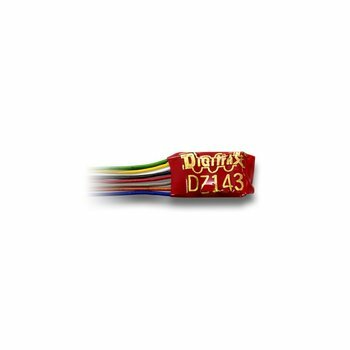 This product has been replaced by the 1 Amp Z / N / HO Scale Wired Mobile Decoder (DZ146) and is no longer available. Click here to view the DZ146. Your locomotives look like the real thing. The Digitrax LocoMotion System makes them run like the real thing, too!